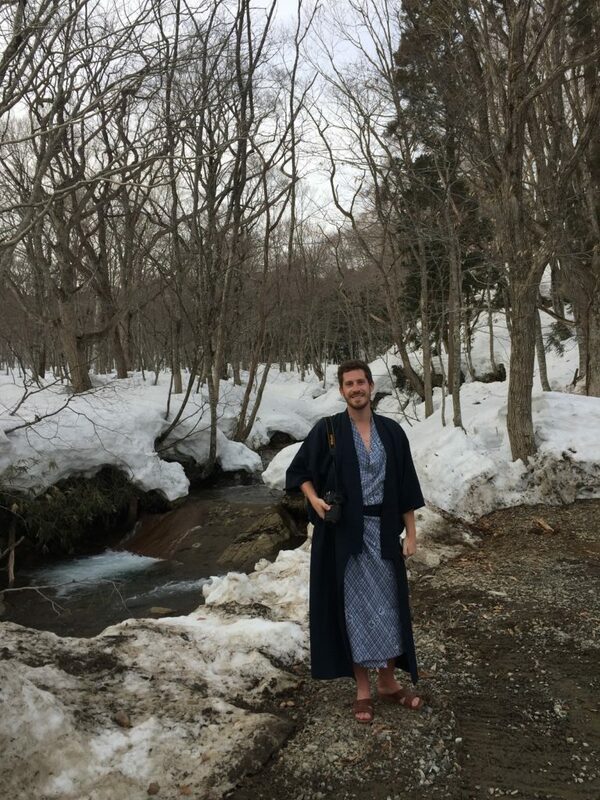 We found the perfect onsen experience in Japan. The “Shangri-La” experience travelers all seek can come in different forms and, usually, drop out of the clear blue sky and land in our laps in a perfectly packaged day. 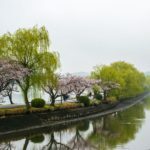 These places and experiences will stick out in our minds for years to come and on cold dark nights when a major paper is due the next day or a baby is screaming at 2am and keeping you awake, you go back to these magical places in your mind which memory has only polished and made brighter over the years. Jackson and I found a “Shangri-La” in Japan. 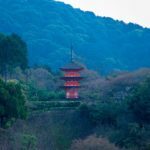 I feel silly writing this because the hospitality we’d experienced up to this point in Japan was above and beyond, we didn’t need a “Shangri-La Day” to think fondly on Japan! We’d had wonderful days in nature and cities alike: how could we top this? 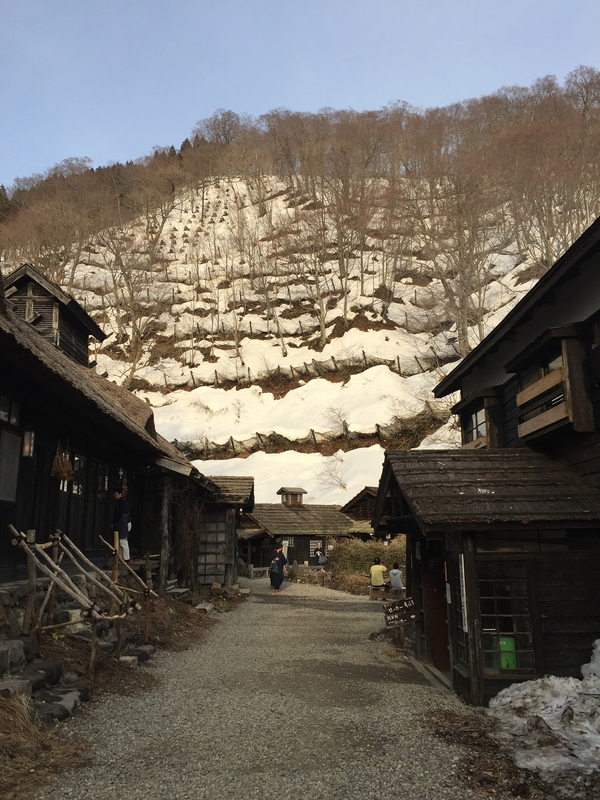 Then: we arrived at the Tsuru-no-yu Onsen. To get to this place involved quite a lot of moving. 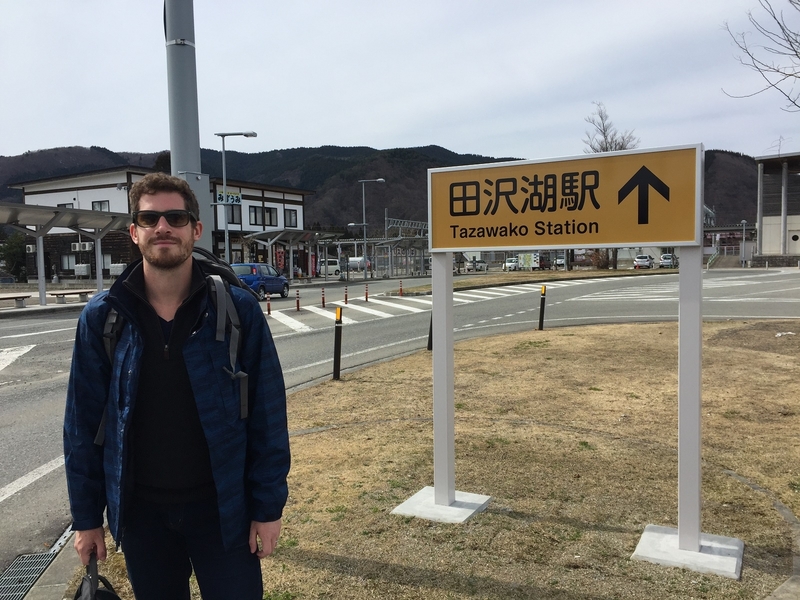 We took a bullet train to Tazawako station in Akita. Stepping out of the train we were greeted with EPIC mountain landscapes. The mountains were still covered in snow! We had to catch a bus which drops you off at a deserted ski resort. The bus stop is right by the train station and was easy to find. The drivers were all helpful and when we told them we needed to go to the ski field, they knew were we wanted to go. 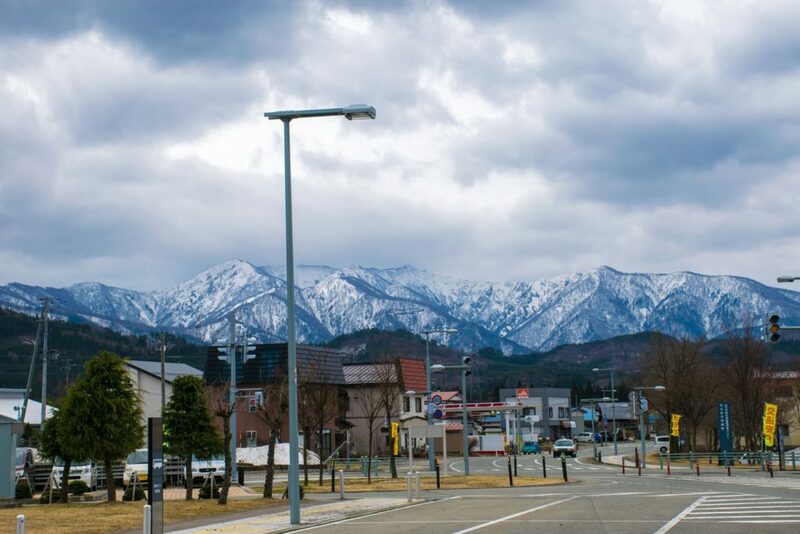 We got picked up by the onsen from the ski resort and driven deeper into the mountains. The road wound and twisted and was walled in with feet of snow. 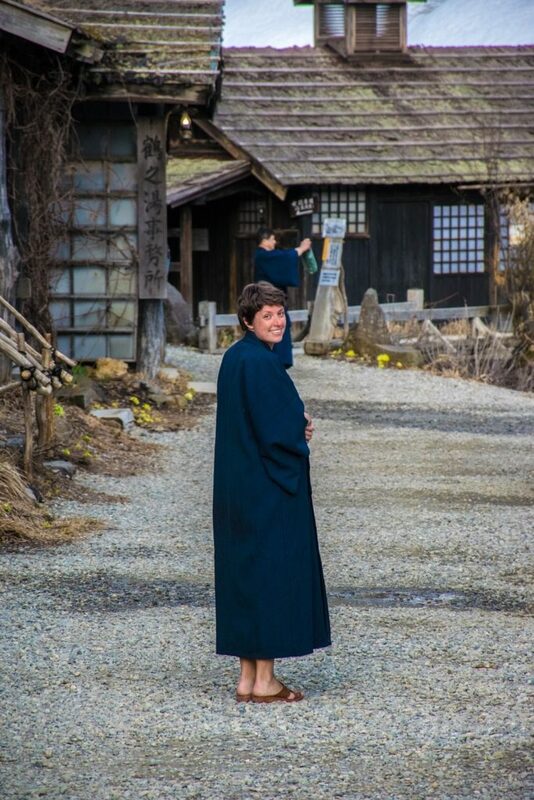 When we pulled up to the ryokan we were in a world of our own. Once on the bus we were a little stressed because nothing was in English so we didn’t know where we were for a while. 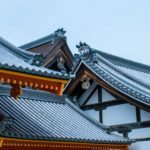 Ryokans are traditional places to stay in Japan. They can be very fancy or bare-bones but it’s the tradition involved that makes them unique and special. 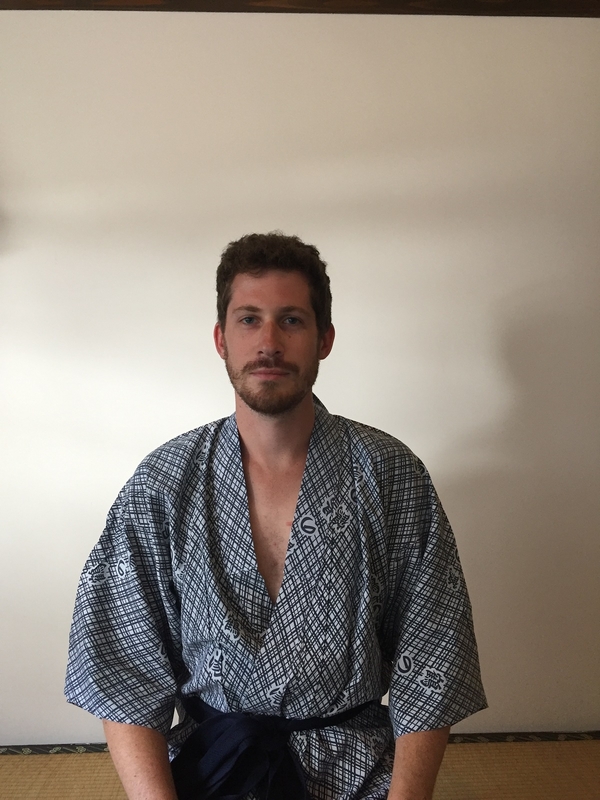 If you can get a ryokan that also has an onsen (Japanese for hot soaking pools) you’re in a very special place. Tsuru-no-yu had one room available for one night and Jackson managed to book it for us on our last night in Japan. For $80 USD a person, per night we were transported to a level of relaxation and calm that we hadn’t experienced for a while. It’s a bit pricey, but for one night it is really, really worth it (or, you know, maybe do 3 nights if you have the means). 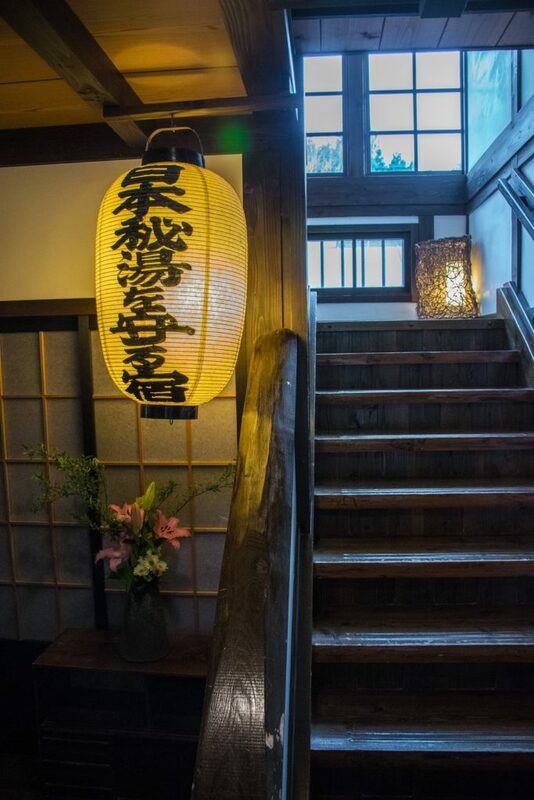 We booked the room through a third-party website as you cannot book the room through the ryokan’s website. To organize the pick-up, I asked one of my Japanese-speaking students to call the place and arrange the details of the car coming to get us. This was a little scary because I don’t speak Japanese and had to rely on the information relayed to me. That said: it was all smooth and we had no problems getting picked up. If you are going to book a room here BOOK WELL IN ADVANCE. This is a popular place and has limited space. 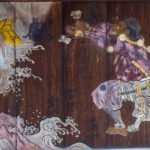 Make sure you book well before your trip to Japan so you can guarantee a spot at this amazing onsen and ryokan. 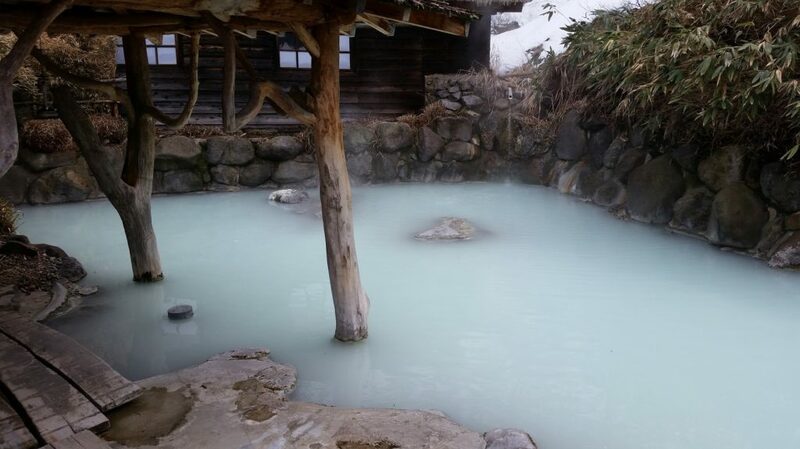 There were hot sulfuric baths that sat steaming outside. The snow was melted back from the pools and the fact that it was still hovering around freezing in the mountains made stepping into the hot pools extra delightful because these were VERY hot. They had gender segregated pools and then a mixed bath. Jackson and I used the mixed only. Oh, and another thing: everyone’s naked. Being that they’re Japanese everyone carries a small towel so they can cover the sensitive bits as they get in and out, but nakedness is a requirement to get into the pool. Soaking in the hot mineral water felt unbelievable. And because everything is so goddamn Japanese it is all SUPER clean. Like: you can’t get in the hot pool unless you’ve thoroughly washed yourself beforehand. It must be what entering heaven must feel like: you walk into a purgatory where you’re meant to strip away all worldly possessions. After getting unclothed, you walk into a steamy room with bars of soap and a small bath. Scrub down, dip in the hot bath to acclimate your body to the heat (and prepare yourself to enter the cold shock of the outside again). Climb, steaming from the hot pool, push open another door and tip-toe your way to the main hot pool, slowly sinking deeper in and allowing the stinky, murky blue water to cradle your tired bones in a hot embrace. Soak. Soak. Soak. Repeat. But the hot pool is not the only main event. I’d say the best part of the stay was changing into the robes they provided us and going to dinner. We went out for a little photo shoot around the complex in our robes. Dinner was served in a communal room (and you’ll have to just believe me here, because we took no pictures of any of this). It was traditional as hell. 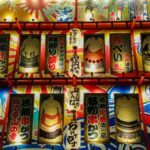 The floor is lined with tatami mats, you kick off your sandals when you walk in. Your spot is waiting for you: all laden with delicious bowls of food. In the corner of the room is a hot pit filled with salt fish roasting slowing on spikes above charcoal. Pickles, fish, tofu, rice, soy sauce: everything Japanese. You sit on your knees and feast. I felt awkward in my robe and made the mistake of looking at the only other woman in the communal room who looked like she’d stepped out of a poster she was so perfectly poised. Oh well. Not my world: I’m merely a traveler and if I look gawky and stupid so be it. Jackson and I made friends with a lovely couple from Luxembourg City. 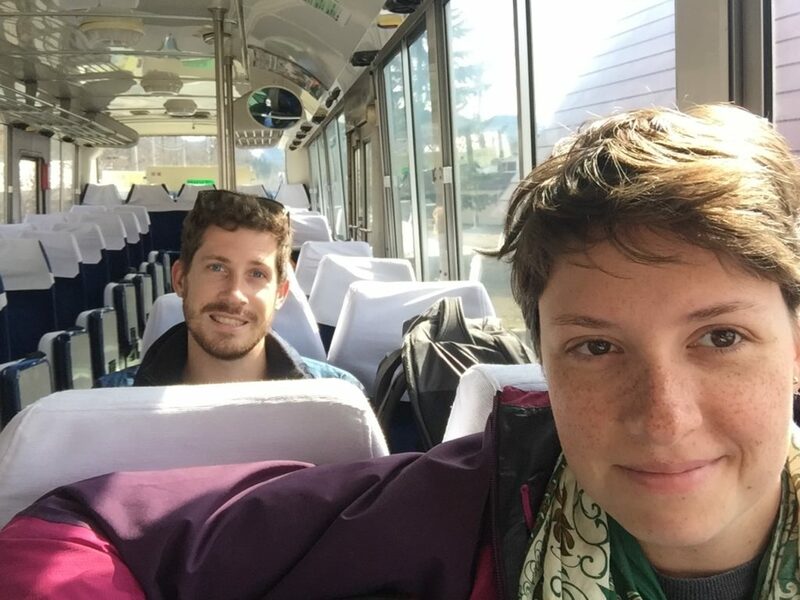 They were a pair of middle-aged men travelling in Japan together for 3 weeks. We guffawed over the toilets and exclaimed at how much the West is full of poopy-butted heathens compared to the cleanliness of the Japanese. (I wish I was kidding. The Japanese have THE BEST TOILETS I have ever seen!). After supper, we soaked again in the hot pools watching the moon rise over the mountains and washing the world in its pale blue light. The sky was clear and cold and I felt at peace and far away from everything. Oh, if only moments like this lasted for days. Everything was very traditional and clean. The morning came too quickly. Our time was up. We needed to get back to Tokyo and catch our flight to Europe. 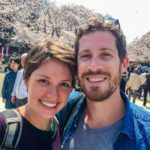 I felt terrible about leaving Japan. What about Hokkaido? We didn’t see Honshu either! Also, there was the entire west coast of the main island to see. I loved how clean everything was, how orderly and smooth the country felt. The people were some of the friendliest I’d ever met and the nature was unbelievable. How could Europe match this? 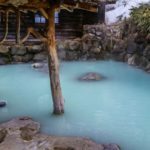 Wonderful look at an onsen experience in Japan. I would love to do this!